We recently wrote a blog on property development marketing that got us thinking there was the potential for several blogs around real estate marketing strategies in general and the various approaches to different platforms. So with that said this is the first of a four part series around those platforms with a focus on that industry. First up is SEO. Search Engine Optimisation in particular is too often looked at in a singular sense as one of the channels through which leads can be attained, which isn’t an untrue statement, however with property marketing in particular it’s attribution which shows the true value of this one part of your overall strategy. Let’s explain. How does SEO connect to the larger plan? But how many people would stop their cars to write down the phone number or website address? Very few if any, which might not sound like news to you as we do see a lot of minimalist billboards that just contain a photo and branding in the hopes that it will stick in the mind of passers by to follow up later. But this is where SEO comes in. Sure if you’re a more well known brand then it’s likely that they’ll just go to your website, but what if they don’t know the address? Or what if seeing that billboard only inspires them to Google property agents in their local area? The benefits of ranking well organically (in non-paid listings) becomes obvious at this point but there are other ways attribution can help. Say they never saw the billboard and started with that Google search and come across your site, which they then visit, but that first visit isn’t enough to convert them. If you’re engaged in remarketing either via Google Ads or Social Media (preferably both) then that website visit that was achieved thanks to the SEO efforts placed a cookie in their browser that allows you to follow them up elsewhere with advertising (something we’ll get into further during this 4 parter). But make no mistake about it, attributing that conversion only to the ads that they might have clicked on to end up converting into a lead on that particular visit isn’t an honest representation of how those ads are performing because without having ranked organically you never would have been able to trigger them. This is why tracking the longer arc of the customer journey is so important. But let’s not get ahead of ourselves, we’ll cover tracking below. How does this affect the approach? Getting into the technical side of how this affects your SEO approach could be a blog series of its own, so we won’t do a deep dive into that here. But as stated in the previous blog mentioned above, consistency is key when it comes to real estate advertising. We’re talking about messaging, imagery, branding, tone of voice and of course ensuring that these connections extend to offline advertising. This is because as soon as there’s a disconnect and you lose that consistent narrative it’s like you’re starting with the customer all over again. 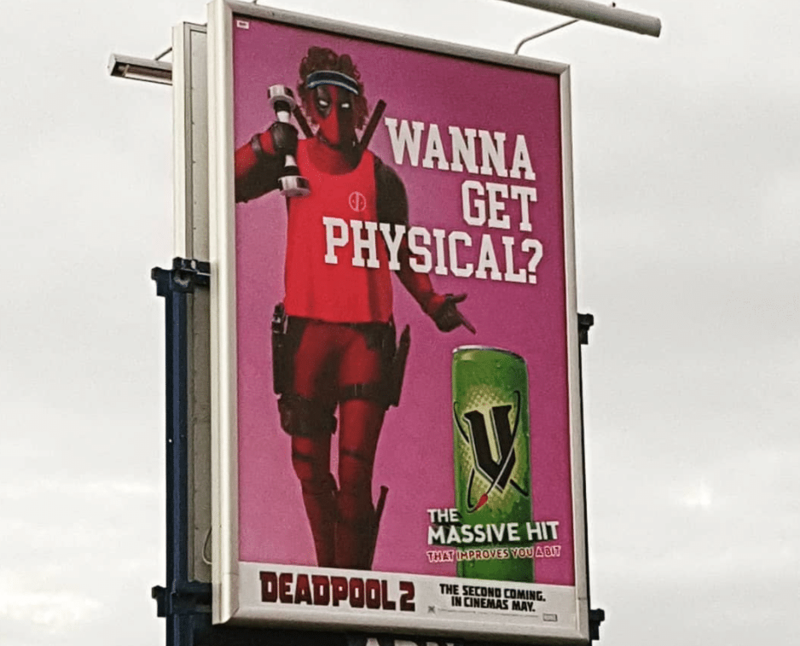 A good example would be the recent Deadpool 2 marketing in conjunction with V Energy Drink. For both brands, this was a great exercise in the benefits of consistency to the point where we were snapping photos of the various billboards and bus advertisements for a laugh, but noticed we were seeing those same advertisements on social media and the various online properties they owned. Although we weren’t big fans of the flavour of this limited edition V when we bought it, we did buy it and we definitely saw the movie. We also found those online properties by Googling it and once we visited those websites were hit with more ads in various other places online. That might sound like overkill, but while the tone was consistent they did have a lot of variations on the joke/message and this is a massive Hollywood production we’re talking about, so overkill is kind of their thing. The point stands however. We saw the billboards, Googled the brands and were then within their sales funnel. Opportunities for organic link growth & increased social signals. The other thing that happened when we snapped these photos was that we shared them on social media. This campaign had us literally taking our own photos in the street and uploading them to Instagram and Facebook. Sure we’re nerds who already liked comic book movies and we’re definitely also marketing nerds, but that was just them knowing their target audience. You can do the same. We’re sure you’d be well aware how many shares a good property can get online. This isn’t just a boon for social media traction, it also benefits your SEO as you accumulate links back to your website. While social links are sort of in their own class when it comes to the weight that search engines give them (it’s less than a link from an actual website), social signals and the activity around your brand also contribute to a more positive assessment of your website by Google etc. Plus you can always count on there being a few genuine website to website links that come out of such activity. This again helps in that someone may well see a social media ad without clicking on it but want to check your site out later. In this way the benefit is circular, with social media helping rankings and rankings helping social media. We’ll leave the deeper technical explanations of Onsite SEO to our previous blog on the matter and you should absolutely adhere to them, but consistency also comes into play with your website and how it’s put together. While you definitely want to have a keyword focus around all of your onsite efforts, that doesn’t mean that the rest of the text around those keywords is just fluff. If you’re trying to get a page ranking around a particular topic and are engaged in advertising around that topic, then it’s important not to forget that your website is a living, breathing part of those real estate advertising campaigns. Let’s take your meta description for example, which is the text/description that appears under the title in your search results. If that messaging doesn’t reflect the language in the rest of the campaign, that would obviously have a negative effect on whether or not a user can be sure that’s the listing they are trying to find, which would lower your click through rate (the percentage of people who click on the listing after seeing it), which in turn negatively affects your rankings. But it’s not just SEO factors to consider, once you get them onsite that messaging/content also needs to be in line with the campaign, which is where content can come into play. Again, we’ve covered the ins and outs of Content Marketing in a previous blog, so we’ll leave out the technical details here, but if you’re engaged in content marketing for SEO purposes (and you definitely should be as that blog will explain), then be sure to visit your content plan prior to launching said campaign. While a dedicated landing page is great, you’ll up your chances at ranking (possibly even with more than one listing) if you line your planned topics during the campaign period up with that messaging. You may even want to start those blogs beforehand if you find that there are any good keywords you’re close to ranking for but don’t quite yet as sometimes a good blog is all you need to push you over the line to ensure you have a property on the front page that lines up with keywords related to your advertising. Not losing sight of the bigger picture (tracking). And of course none of this would matter at all if you’re unable to track your attribution. This is where Google Tag Manager comes in. For those who are unaware, it’s basically Google Analytics on steroids and it allows a level of customisation and tracking over a longer arc of the customer journey that you can’t get elsewhere. In the above examples where a customer doesn’t convert via their first visit via a search engine but does later through remarketing efforts (or vice versa), then GTM will ensure that you can see exactly that happening. Not only that, but unlike Google Analytics it allows you to track calls so that you can tell when your online marketing efforts are converting offline. Too many businesses only ever track whether or not their online efforts result in online interactions/enquiries/leads etc, which is not an accurate portrayal of their results. We have blogs coming on Google Tag Manager so stay tuned, but also as always, if you’d like to know more about GTM or anything else we’ve discussed in the blog today then please feel free to get in touch! We’ll see you next week for Part 2!